With PPE '09 students, Thesis Day, April 2009. Ward Elliott has three degrees from Harvard, one from the University of Virginia. 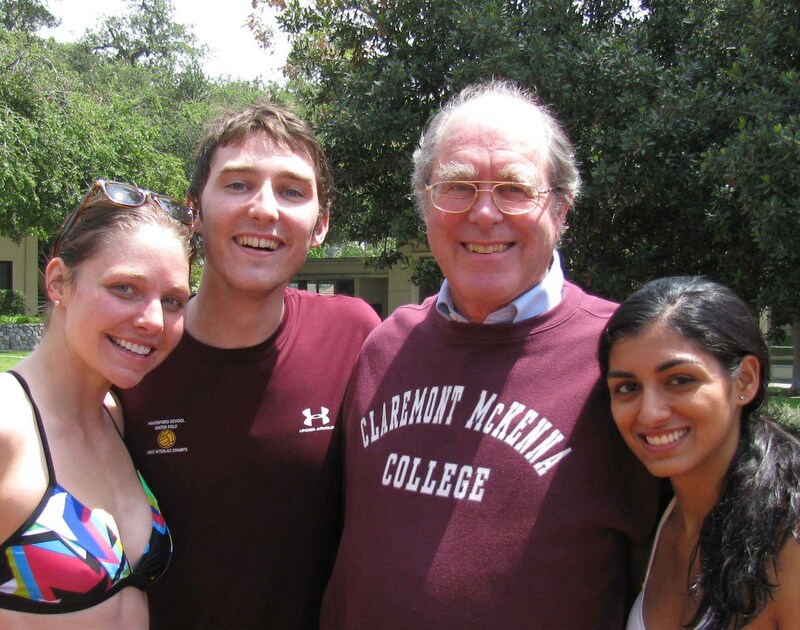 He has taught government, battled smog, and enjoyed the company of CMC students and colleagues since 1968. He has shown that a number of widely-believed “passionate truths” of the late 20th Century have turned out to be more passionate than true. He was one of the first political scientists to demonstrate that reapportionment and the McGovern Reforms did not revitalize government, as predicted, but increased factionalism and gridlock. He was the first political scientist to challenge the once-conventional view that high-science, therapeutic “California” correctional techniques “cured” criminals better than low-science, punitive “Arkansas” ones. He was among the first to challenge the widely-accepted argument that Rapid Rail would solve Southern California’s transportation and smog problems. He was the first person to apply congestion-charge and emissions-charge theories to Southern California, the first to devise practical ways of phasing them in, and the principal drafter of the economic-incentives language of the 1990 Federal Clean Air Act Amendments. He is the inventor of the HOT Lane concept. 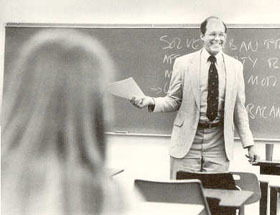 His Rise of Guardian Democracy (1975), on of the first explorations of the concept of "politically correct" thought, was nominated for the Pulitzer and Bancroft Prizes in history. He was president of the California Coalition for Clean Air from 1980 to 1986 and played a leading role in reducing annual first-stage smog alerts from 120 in 1979 to zero in 1999 and in getting tradable emissions permits and two HOT lane projects adopted in Southern California in the 1990’s. Both programs were the first of their kind in the country. He was founder and co-advisor of the Claremont Shakespeare Clinic from 1987 to 1994. This student-run Clinic used computers to show that none of 37 claimed “True Shakespeares,” none of the 30-odd poems and plays of the Shakespeare Apocrypha, matched Shakespeare, and Shakespeare's vocabulary did not dwarf everyone else's. The Clinic's findings were reported by ABC, NBC, BBC, CBC, JBC, NHK-TV, KBC, NZBC, VOA, four scholarly journals, and scores of newspapers all over the world. He is currently writing a book on the Clinic’s discoveries. For more on his discoveries and impacts, see his Discoveries and Impacts and his Selected Current and Archived Writing .